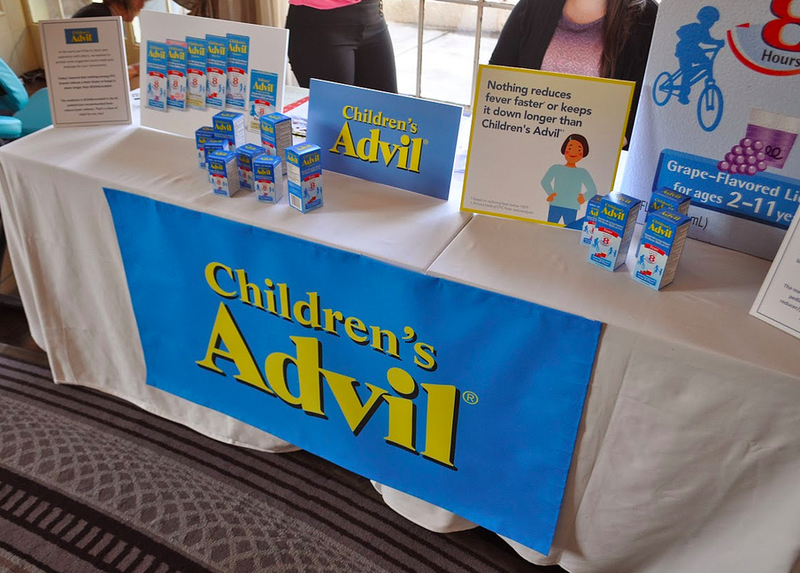 I was thrilled that Children’s Advil® joined us for our recent Holiday Mom Mixer, where bloggers had the opportunity to learn about fever management and getting kids back to feeling like kids again when they’re sick. You may or may not know that Children’s Advil® has a Feel Better Activity Center on their Facebook page that’s full of ideas to keep your child busy and entertained when they aren’t feeling well. 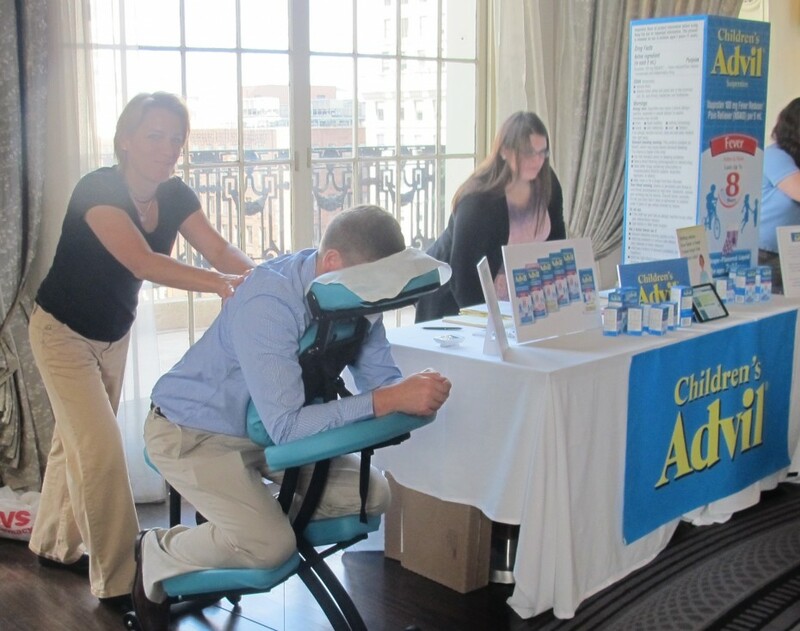 Children’s Advil® created an on-site Feel Better Center for moms at the Mom Mixer, which offered attendees a dose of relief and relaxation with a massage and soothing music. Plus, the bloggers also received product coupons, coloring books and a Baby’s First Year book for use at home next time their kids need to feel better fast. The moms in attendance were happy to take a moment to relax and left feeling more relaxed and armed with the appropriate information for the next time their child runs a fever. As a mom, I know that when either of my boys a fever, I just want them to feel better as quickly as possible. Among OTC pain relievers, nothing relieves fevers faster or keeps them down longer than Children’s Advil®, which provides up to 8 hours of relief in just one dose. In addition to unsurpassed fever relief, ibuprofen, the medicine in Children’s Advil®, is the #1 pediatrician-recommended fever reducer/pain reliever. Children’s Advil® has a variety of products to fit your child’s age and flavor preference. Children’s Advil® Suspension is available for children ages two to eleven in five great liquid suspension flavors, including Grape, Blue Raspberry, Fruit, Dye-Free White Grape and the newest flavor, Bubble Gum. (My boys favorite is white grape!) And for kids who don’t like taking liquid medicine, Children’s Advil® is also available in convenient Grape Chewables and an easy-to-swallow small tablet. Dye-free Infants’ Advil® is available for children ages six months to twenty-three months. Disclaimer: I am participating in a sponsored campaign hosted by Children’s Advil®. I received compensation for this post. While all opinions stated are my own, I make no claims about Children’s Advil® as a product or its effectiveness.